I don't know about you, but I often have to look at something for a while before I know what to do with it. So even though I hung up the other shutter last week, I had to think about it for a bit. The one thing I'd decided to do was to hang aprons on it, so I had added clear glass knobs to the two holes already in the bottom (and on the top part, too). P.S. These are two moulding pictures for Jen at The Candlelit Cottage...can you believe I don't know how to attach something to an email? 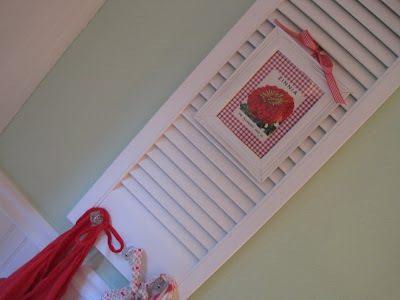 thats so cute AGAIN what you did with the shutters! 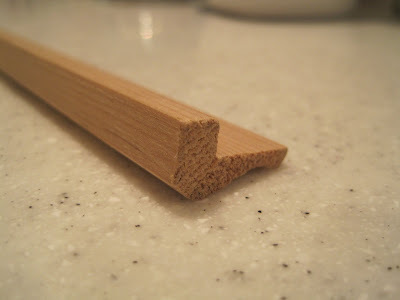 And the frames? Talent! I was thinking about your framed letters and you need to come up with a Easter saying soon. :) Hee Hee! I love the shutter it looks so good! Oh, I LOVE it! 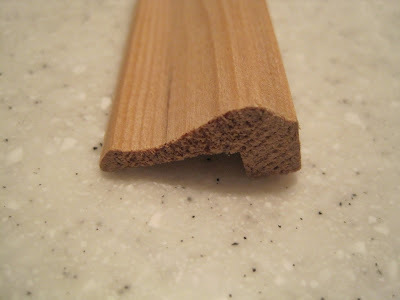 It is so perfect in your kitchen! 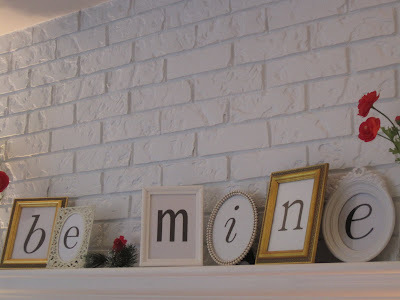 I also love the framed letters on your mantel and do not get sick of seeing them. i got an award for you. come and get it! Jen, what you did with that shutter is so adorably cute! I love it! 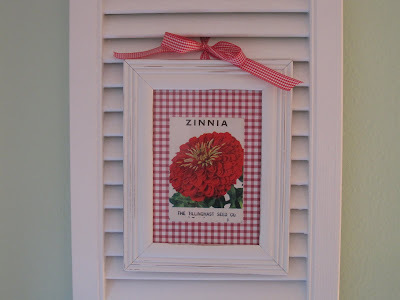 I'm always a big fan of your framed letters - another cute project! 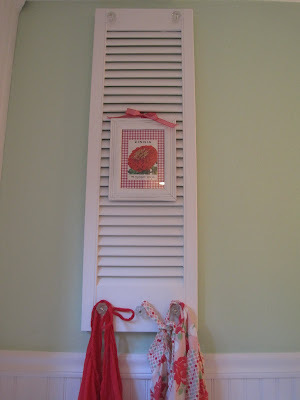 Your shutter is really cute!! 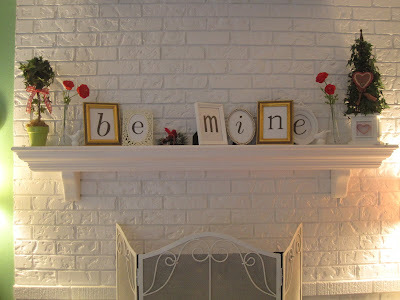 I also think your mantle letters are great! 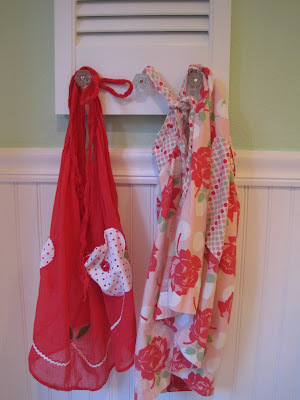 I just love the colors here & those aprons - swoon!! Nice use of the shutter...I super dooper love those red aprons!! !